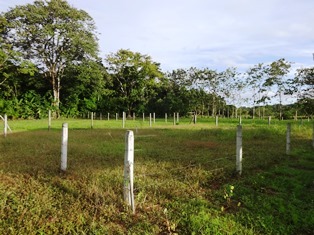 This residential subdivision is five minutes from town yet in the quiet Rio Nuevo neighborhood, surrounded by forest and pastureland. 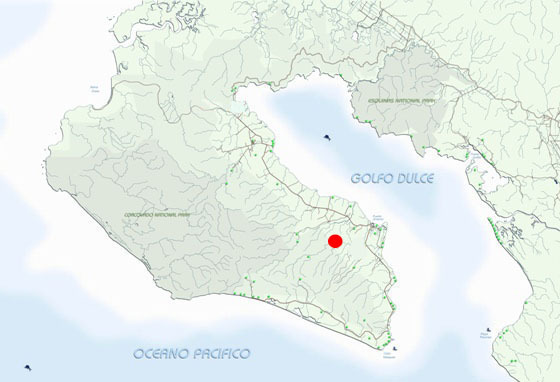 Sixty lots of 300 square meters are available for immediate sale, each with a price of $18.500, fully titled. 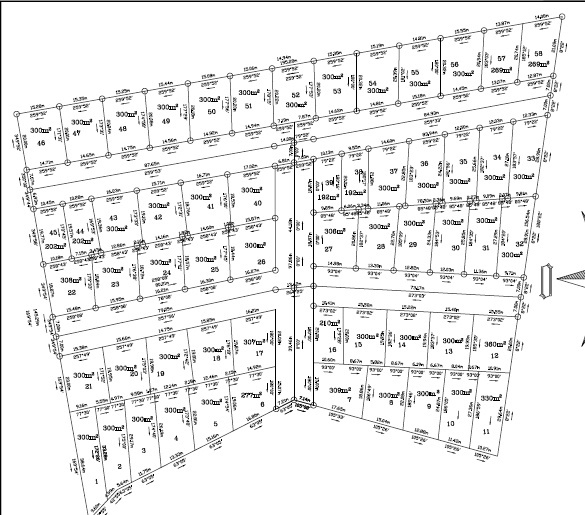 The subdivision has full electrical and water services to each lot, all served by well built and maintained street network. 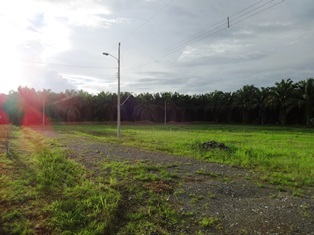 The lots are available as is with no restrictions on construction style. 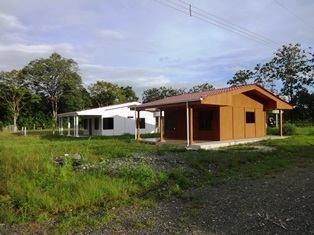 Alternately commission a modest concrete home of 1, 2, or 2 bedrooms in the style shown in the photograph for $40,000 (1 bedroom), $55,000 (2 bedroom) and $65,000 (3 bedroom), prices that include both the lot and completed turnkey houses. 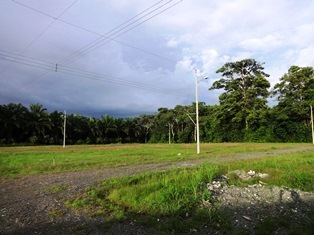 With Puerto Jimenez expanding rapidly, these near town lots are very popular and are not expected to last. 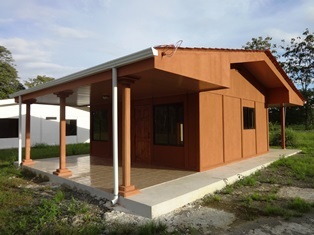 Buy for either your own purposes or as an investment in the local residential market. 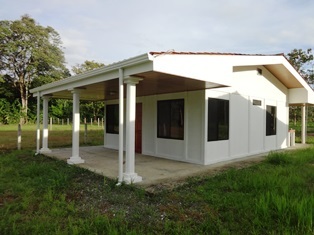 Structure description:Buy the lot raw or commission a brand new one-, two-, or three-bedroom concrete house, buyer’s choice.